“Khmer Spring” is not at the horizon any more in Cambodia but please be aware that “Khmer Spring” is the “people power of non-violence”. When people’s sentiment is fueled, rumors to ignite that sentiment is non-stoppable. This is becoming easily disorganized. “Khmer Spring” must be well organized in the peaceful and non-violent manner. We have witnessed “Khmer Spring” since the mass crowd of youth come out to the street to greet Khmer nationalist Sam Rainsy in his return from self-imposed exile to avoid injustice conviction of the Khmer court which it has been worldwide affirmed as “politically motivated”. 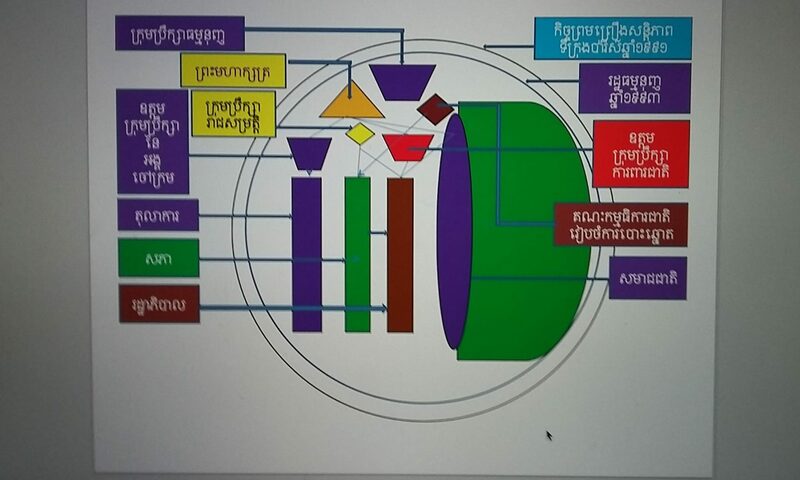 We are on the right track in undertaking “Khmer Spring” by exposing the “Popular Vote”. This operation is surely a successful “Khmer Spring” of non-violence. Let keep in mind that any act (thought, speech, action) that trigger delusion and hatred will never been called “Khmer Spring”. Delusion and hatred will cloud the reality and it can unload many dirty consequences. 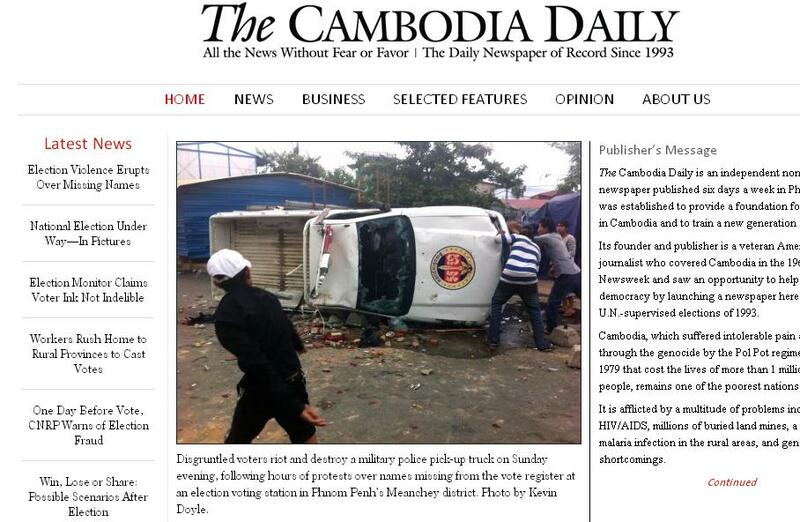 Bravo Cambodian Compatriots! Bravo Khmer Youth! During this Election Counting and Final Result of Election, everyone should restrain as much as possible from any act of violence. We are Buddhist country, we love peace, non-violence and tolerance. Armed force must restrain from using gun or bullet to attack their own innocent citizens. The real meaning of people power is the power of non-violence and unity. May Lord Buddha bless you all! Reading many pages of newspapers, comments and think pieces. Watching many clips and pictures. Sensing many touches, reasons and imagination. Today is the last days of Election Campaign Trail. From 12:00 am midnight, the noisy street bikers will take a relax. PLEASE GO TO VOTE AND VOTE WITH STRONG WILL AND CONSCIENCE ON JULY 28, 2013. ALL CAMBODIAN MUST NOT BE NEGLIGENT. Cambodia is the Land of Wonder with the Contradictory Scenes and Sight-view. Angkor Wat is a great monument the world admired, the Khmer Rouge and the museum of Toul Sleng frighten the Cambodian people and the world. In the Campaign Rally: opposition leaders both HE Sam Rainsy and HE Kem Sokha from the CNRP walked through several mountains, rivers, rice paddies and people crowds for the CAMPAIGN, but HE Hun Sen and HE Chea Sim from the CPP have stayed in shade quietly. Today is the last day of Election Campaign Trail. From 12:00 am midnight, the distance walkers will pause for a reflection. Meas Srey and Prum Chea were jailed almost a year by the court of Cambodia under the CPP’s leadership because of their uniting with Sam Rainsy to protect their farm land from the Vietnamese attempt to construct the border post there, now two of them are happy with their bravery action even-though the local authority and the government have never given up of pineapple eyes on them. Today is the last day of Election Campaign Trail. From 12:00 am midnight, the family of Meas Srey and Prum Chea will plan to grow rice in their farm land and be ready for a VOTE FOR CHANGE. Noisy streets by those rallies will become quiet, but the street bystanders and vendors will not forget their involvement from shouting and signaling the support of NUMBER 7. When the street watchers are signaling to oppose the Campaign Rally, this phenomena speaks a direct language to the Rally’s Organizer. This first video clip was shot on 26 July 2013 in Phnom Penh posted on Facebook. Messages to all TV channels and Radios which are attacking Khmer youth. Messages are concerning on violence should not be incited between Khmers and Khmers. If violence occurs, foreigner has always taken advantage. 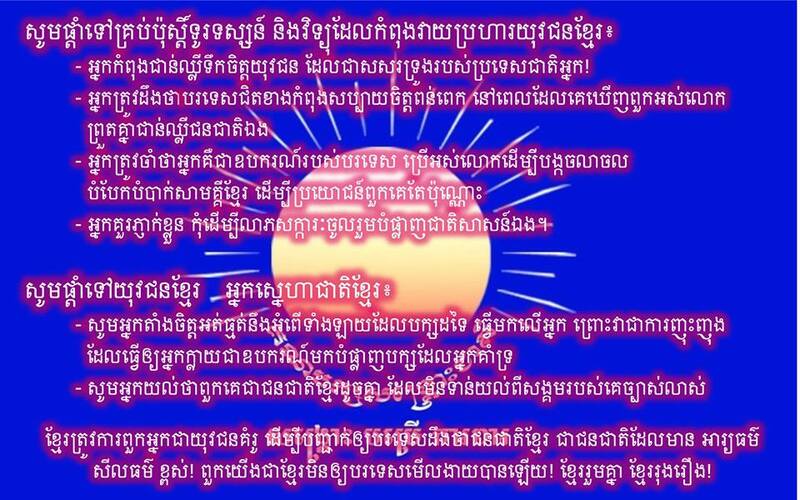 All Khmers must wake up for a great unification as a Khmer family. Message advised all youth to conduct professionally, non-violence and stay in unity. After Aja A’s comment on violence and military coup will happen if the CNRP won the election, NEC has taken a historical action to order shutting down this radio channel. But civil societies are eager to see official confirmation from top officials of military and police department to this incitement comment. Aja A or Seng Bunveng’s comment is seen as intimidation during this election season. However, it has become heating debate and sharing on facebook right now after CTN aired a video clip made by cutting from different sources accusing the CNRP’s supporters and youth as immature, bad behaviour and gangster. The clip televised throughout the country and ended by a song praising the CPP. NEC must also take action on this airing clip whose content is considered causing hatred among political supporters. It is likely an incitement. After the airing many violences happened. This is the clip aired by CTN accusing CNRP’s supporters are racist, disorganized, particularly young supporters (youth) are like gangster. 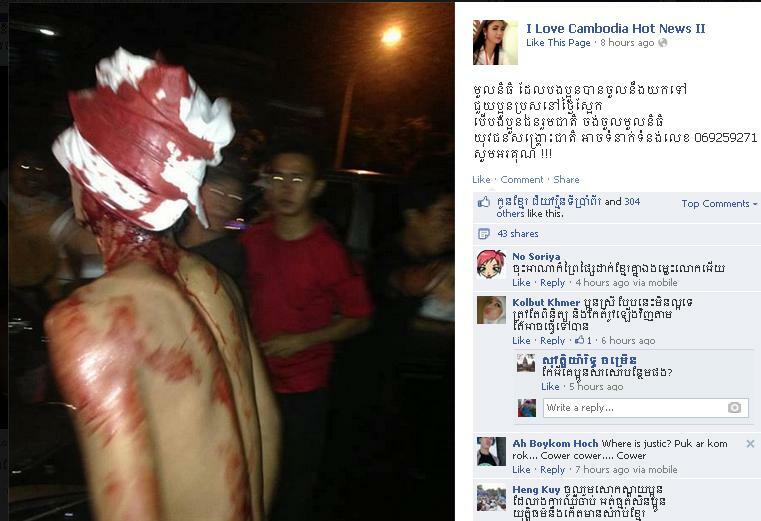 This is the clip of the so-called CPP’s young supporters are stoning at the CNRP’s young supporters. Many surrounding people tried to stop them. This is a clip of another man who was bleeding on his head.